It’s Murphy’s Law that says, “anything that can go wrong will.” It would be ill-witted for an enterprise to assume immunity from an almost folkloric saying—but disaster almost always seems to strike whenever it can. The key to survival comes from proper preparation. 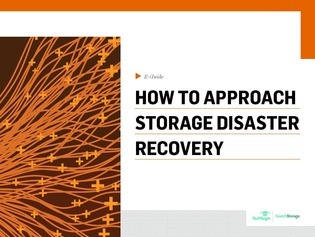 In this e-guide learn how to turn back time on a disaster to recover what was lost; manage “deduped” data, and more. Read on to ensure your enterprise can take a hit and recover quickly, allowing for a low-impact return to normalcy.